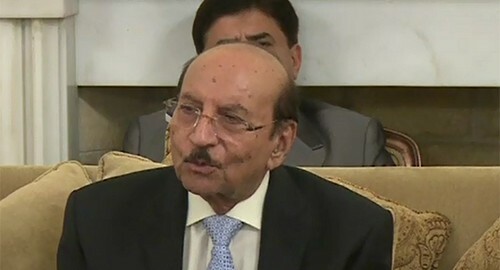 KARACHI (92 News) – Sindh Chief Minister Syed Qaim Ali Shah has on Monday expressed anger over rise in street crime and short term kidnapping cases and ordered the authorities to immediately stop the crimes in Karachi. Sindh Chief Minister chaired an important meeting of the provincial cabinet, in which, Inspector General of Sindh Police Ghulam Haider Jamali said that three centers of Rapid Response Force have been set up for the security of schools. The IG Sindh said that mobile phones have been distributed in the schools for mobile alarms and plain cloth police officials have been deputed around the schools. Commenting on the transfer of cases to military court, he said that 35 cases have been declared clear by the Legal Committee and the scrutiny of around 21 is underway.